StonezTheRiddlah (UVBeatz) is an mc and producer from Edinburgh, Scotland, for the last 10 years Riddlah has been working with alot of the top artists in Scottish Hiphop as well as working with some established artists from the rest of the UK and overseas. Riddlah has produced and self released a number of EP’s and Mixtapes as UVBeatz Recordings while also working closely on projects with Powercut Productions, Music Comes First Records, Sons of Scotland, Savage Sound System & You Sonix. 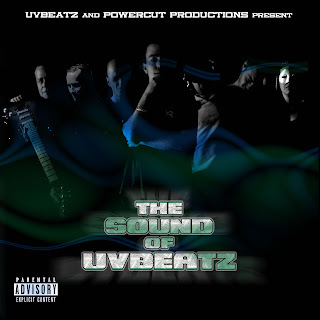 The debut album from UVBeatz (The Sound of UVBeatz) is a collaborative album with mc vocals from The Riddlah, Madhat McGore, Werd, Blasfima Sinna & Wardie Burns, Singing vocals from Sacre Noir, Guitar from Lucky Boy and cuts and scratching from DJ U-turn, all produced by UVBeatz and Released by Steg G at Powercut Productions.